You have a vision. And every idea...every decision...every investment...can get you closer. 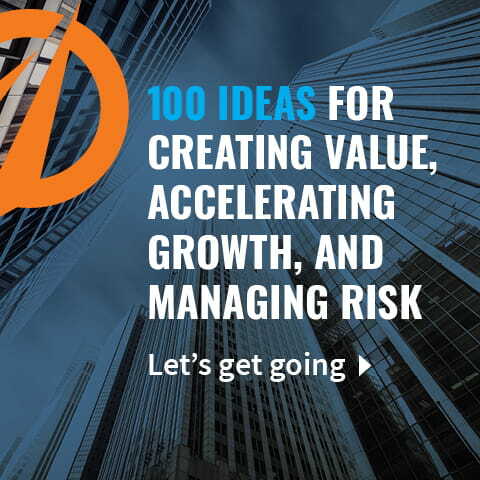 That’s why we created 100 IDEAS TO ACCELERATE GROWTH, CREATE VALUE AND MANAGE RISK. Your next great idea to help your company break through may be among our 100. Download all 100 ideas today.